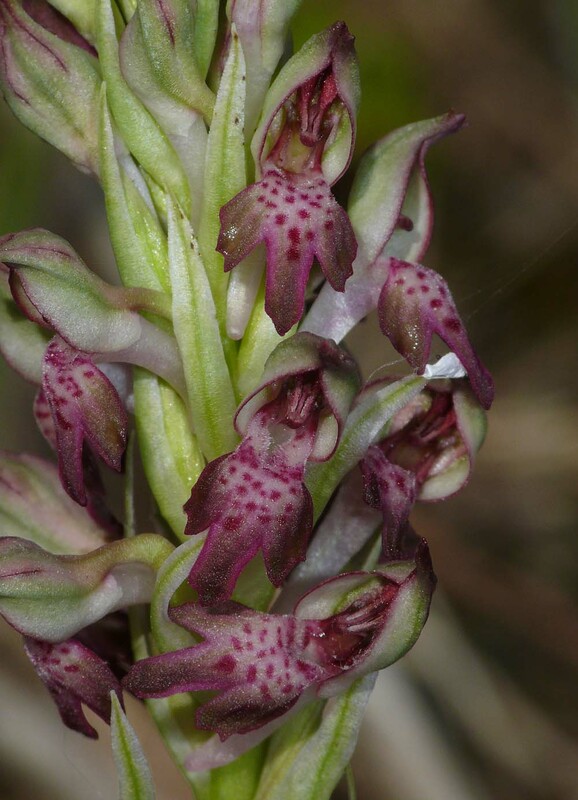 A. coriophora was first described from Louvain (Belgium) in 1753 and its name refers to its bug like smell, a feature which accounts for its common name of Bug Orchid. 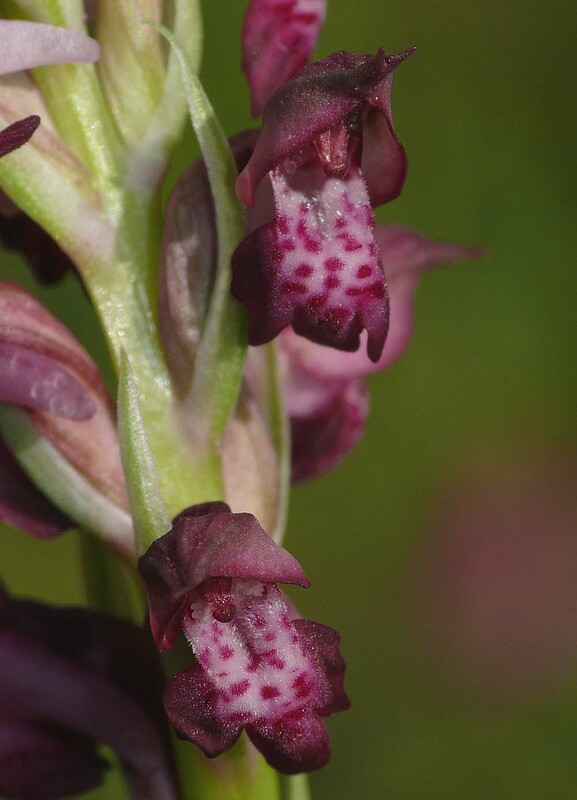 This is a highly distinctive orchid, but one which closely resembles its fellow group member A. fragrans. 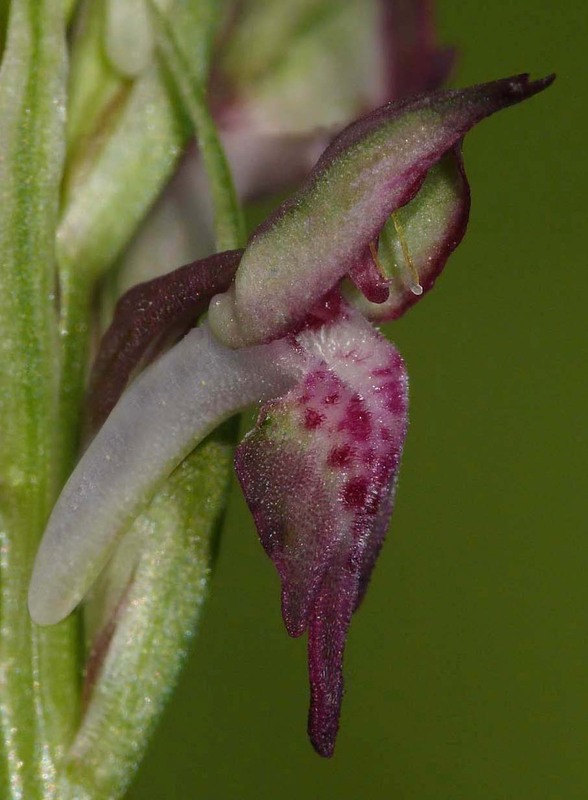 In some parts of Europe botanists refuse to accept a distinction between these two species and certainly from a purely morphological standpoint this position can be easily understood. One such part of Europe is Greece and it must be conceded that here in particular the two species seem to have become convergent and difficult to separate. 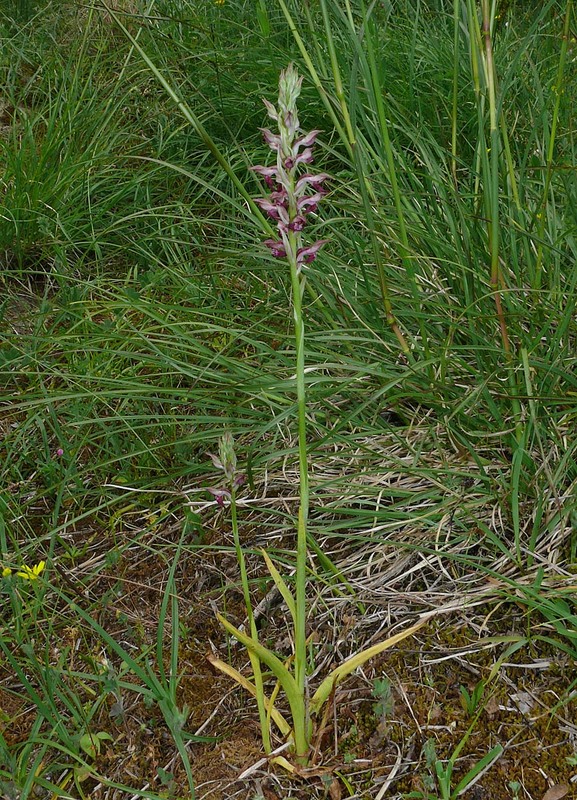 There are however some features that assist with identification, the first being very dissimilar habitat preferences with A. coriophora being exclusively a plant of damp or even wet situations and often on neutral or slightly acidic soils. 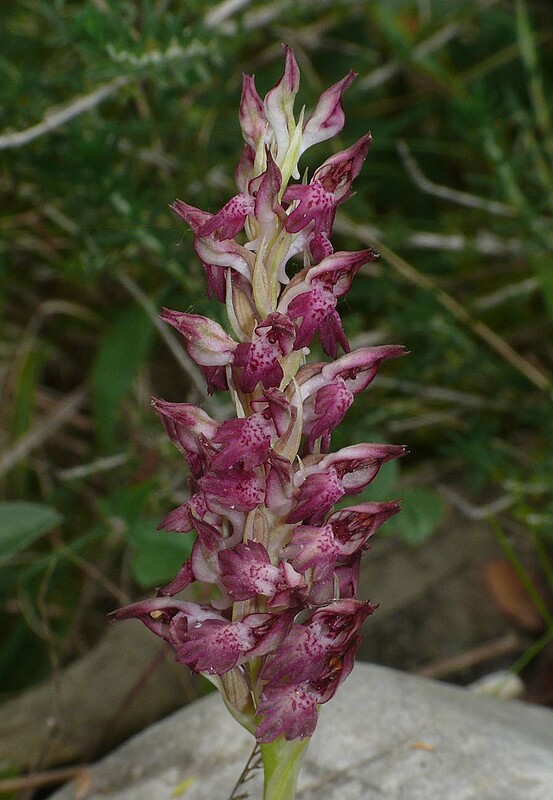 It is frequently found growing with A. laxiflora, a plant that enjoys much the same conditions. 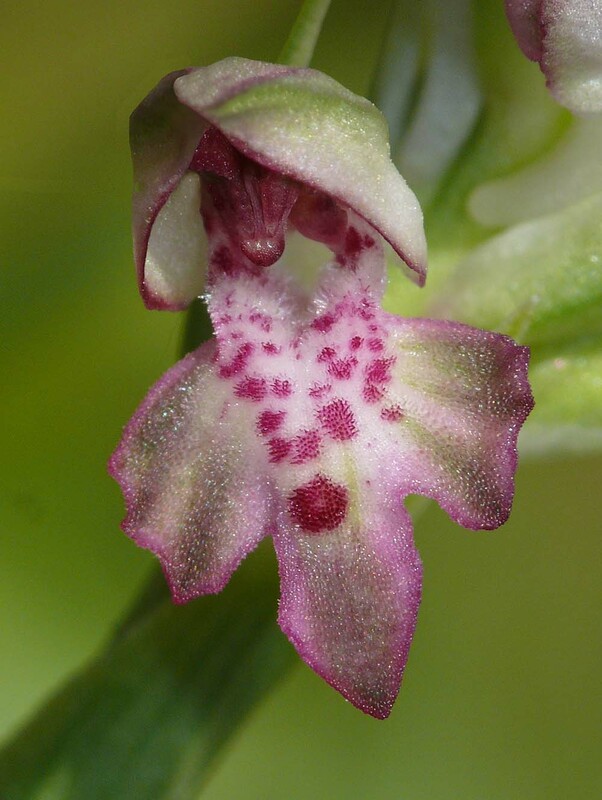 By contrast A. fragrans is strictly a species of dry, calcareous substrates in full sun. 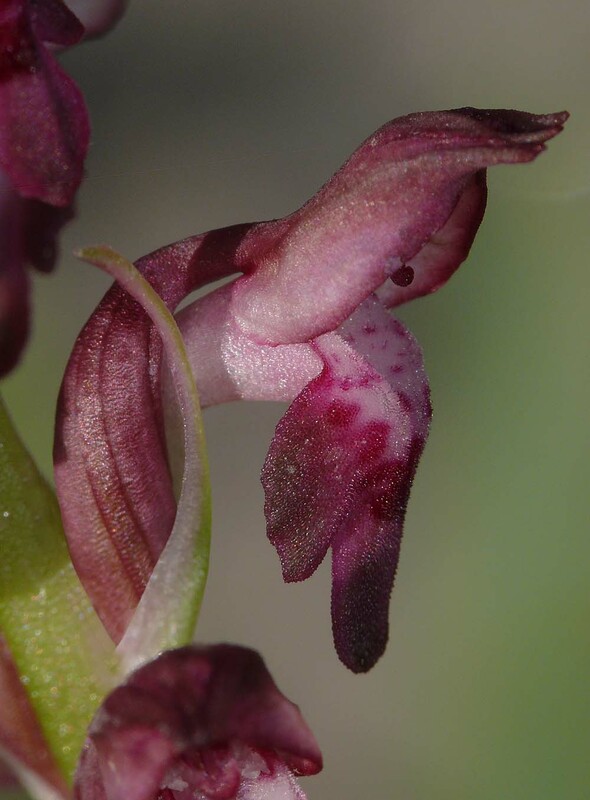 A second feature that is said to distinguish the species is the scent which in the case of A. coriophora is a sickly foetid smell and in A. fragrans, as its name suggests, the scent is more fragrant and reminiscent of vanilla. These aromatic dissimilarities are difficult to detect and the authors have never found this a particularly easy or reliable differentiator. 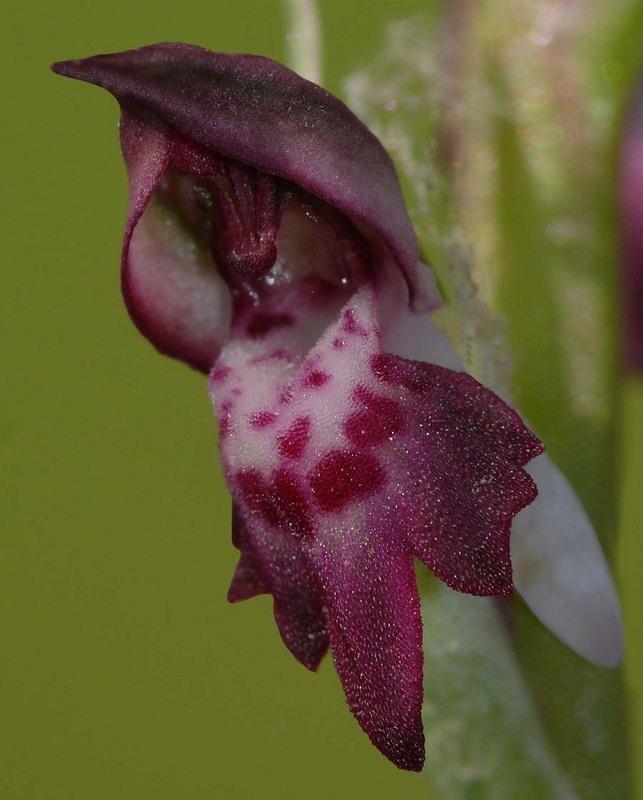 Further differing characteristics are colouration which in A. coriophora is normally a darker more vinous shade of red and finally stature, with the appearance of A. coriophora being more robust with a less dense inflorescence. 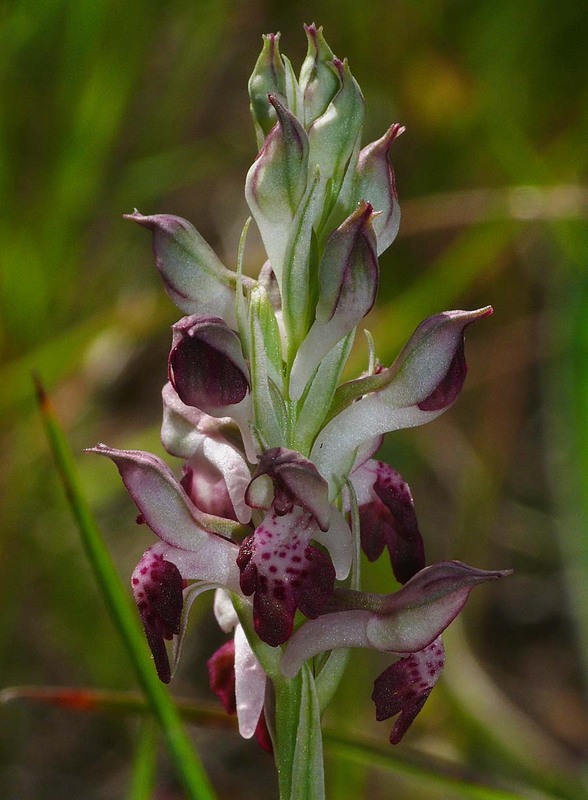 This is a relatively late flowerer and even in the warmer areas of its range, it does not appear until late April. The pictures are all from northern Greece and date from the beginning of May.